I try to go to Tsukiji once or twice a week nowadays. Tsukiji hasn’t changed at all that day, too. 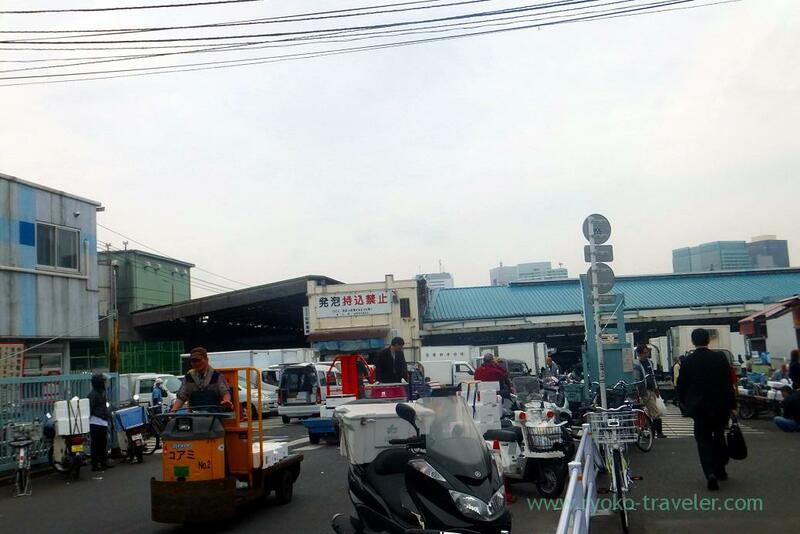 But closure of Tsukiji market is steadily closing. 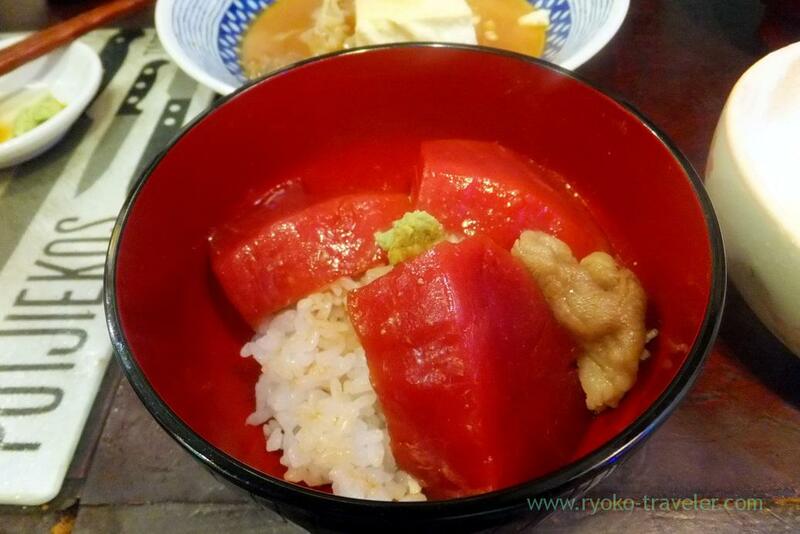 That day I went to Yonehana with plastic container for eating Chef’s choice. Niku dofu. 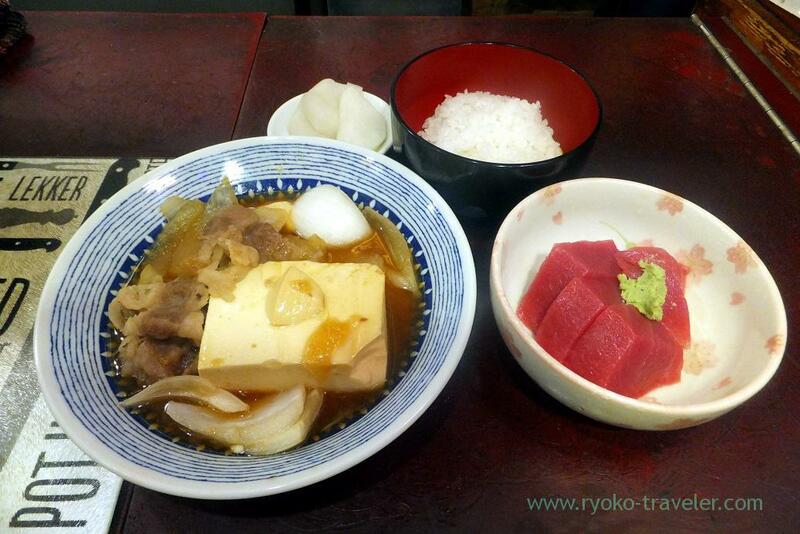 Simmered beef meat, onion and tofu with soy sauce and sugar. Not only simmered onion but also almost raw onion was there. The difference of texture was interesting. Tuna sashimi. Fatty tuna was great as usual. 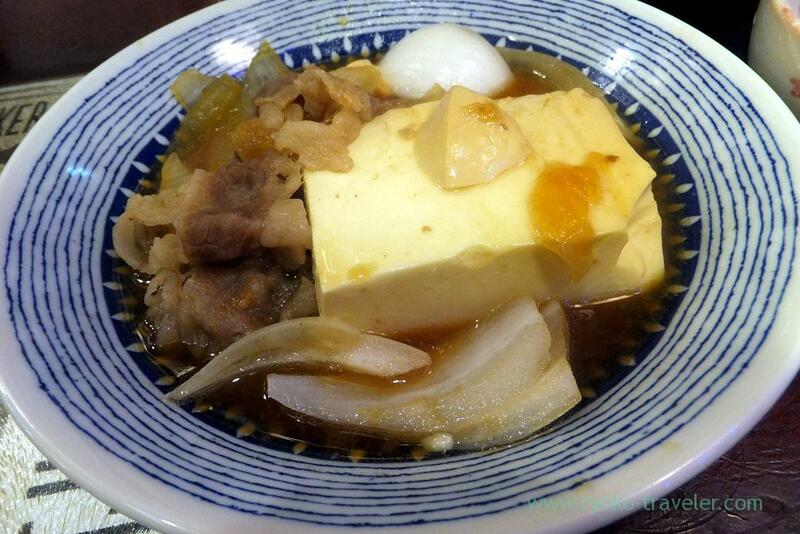 Because of huge tofu, you might feel it’s small, but it wasn’t. Those were sliced thickly. 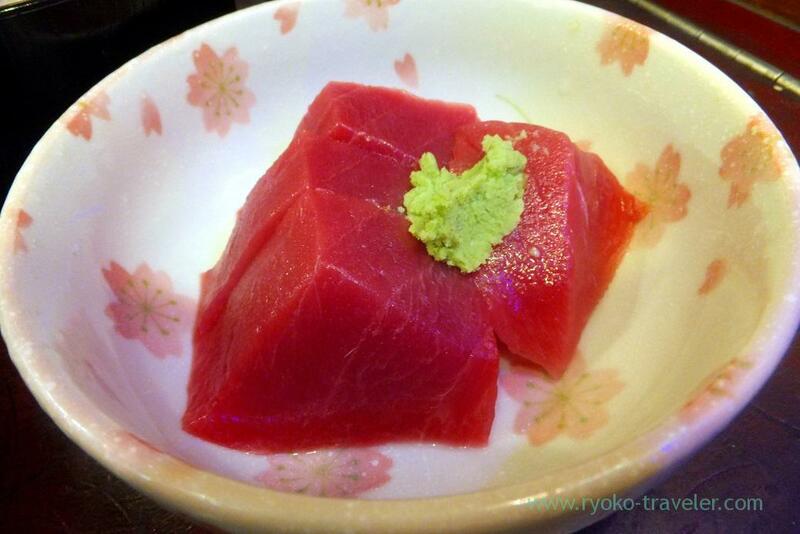 Recently Yonehana serve splendid tuna sashimi ! Though I didn’t take the photo of miso soup, but it was served after a while.